Colour photograph of A.& I. Davidson Shoe Shop, Castle Street, Dornoch. 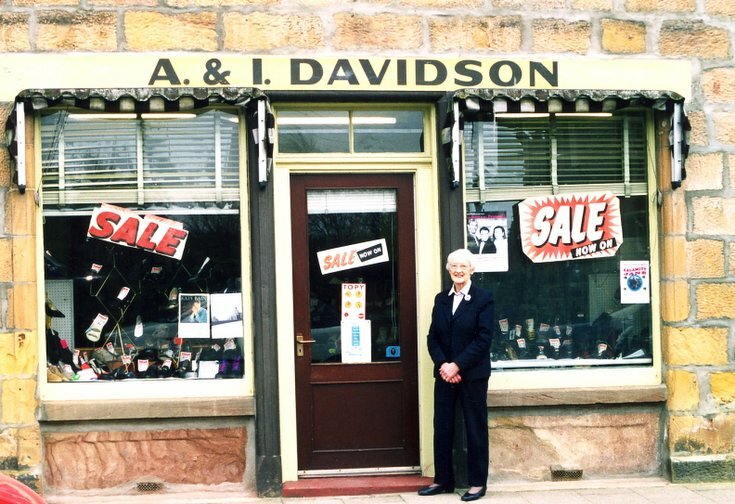 Standing at the door is Ishbel Davidson, the daughter of the founder of the business in 1950. She took over with her husband Alastair. The shop closed in 2004. Before being a shoe shop it had been a Sweet Shop, a Paper Shop and a Stationers.